Ecomega, one of the leaders on the international tyre market, has recently introduced new L5s Smooth tyres for different types of OTR / Earthmoving vehicles around the world. Thanks to several years of research and testings, Ecomega L5s Smooth tyres are the best solution for those vehicles that require maximum stability at anytime and anywhere. With Ecomega L5s Smooth tyres for OTR / Earthmoving vehicles you are in safe and reliable hands, even while operating under the most challenging conditions. Ecomega L5s Smooth tyres for OTR / Earthmoving vehicles guarantee exceptional performance, maximum stability and reliability anytime and anywhere. Ecomega L5s Smooth tyres for OTR / Earthmoving vehicles feature a new extra – deep and smooth tread for a better performance over time. Thanks to these enhanced tread features, Ecomega L5s Smooth tyres for OTR / Earthmoving vehicles guarantee maximum resistance to all sorts of cuts, damages and ruptures at anytime. 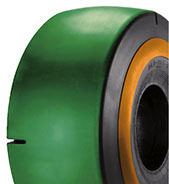 Ecomega L5s Smooth tyres also ensure exceptional tyre life, for better performances of your OTR / Earthmoving vehicles. Special compounding and extra – deep rubber of Ecomega L5s Smooth tyres for OTR / Earthmoving vehicles resist wearing and heat, in order to guarantee maximum performance, even while operating under the most challenging conditions and on different types of surfaces. On top of that, Ecomega L5s Smooth tyres for OTR / Earthmoving vehicles also guarantee maximum comfort for the operator, by efficiently absorbing all sorts of vibrations and noises during different earthmoving operations. Your operations have never been so smooth. If you are looking for a set of highly efficient and innovative tyres for OTR / Earthmoving vehicles, then you came to the right place. 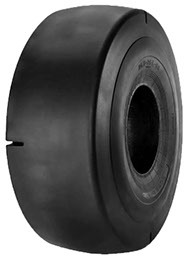 Ecomega L5s Smooth tyres for OTR / Earthmoving vehicles guarantee excellent performance, maximum reliability and safety at anytime and anywhere. With Ecomega L5s Smooth tyres you are in safe and reliable hands, even while operating under the most challenging environmental conditions.